Greg Corman is an artist and landscape designer in Tucson, Arizona. His passion is creating sculpture, outdoor furniture, and other objects from salvaged wood and steel and found objects. Greg Corman is a sculptor, landscape designer, and owner of Gardening Insights, Inc.
Greg’s experience includes thirty years of horticultural and design work, mostly in desert areas of Australia, the Middle East, and the Southwestern US. He creates art and functional items from recycled wood and steel and found objects. 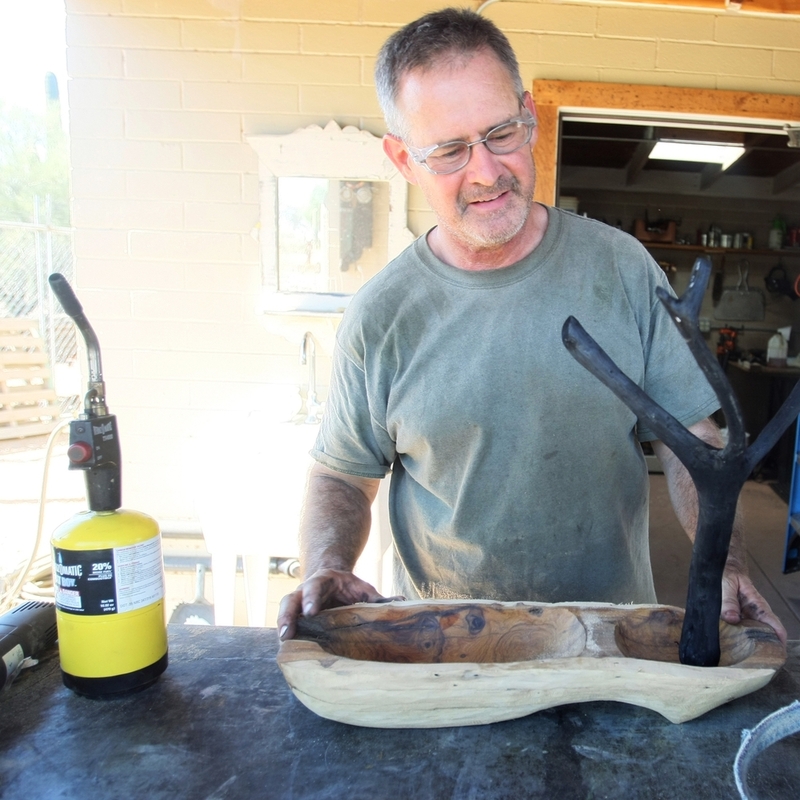 Some of his works functions both as art and as habitat for native bees and lizards. Greg is always looking for unusual species for landscaping and new ways to use native plants. He is recognized as a regional expert on native plants and teaches docents, master gardeners and the public on many horticultural and design topics. He has BS and MS degrees in Agriculture from the University of Arizona and the University of Maryland. His pieces highlight the natural textures and patinas of the materials he uses. Many of his works are drilled with small tunnels that provide nesting places for solitary native bees. They don't attract honey or "killer" bees, however.